Stunts are amazing, sick, cringe-worthy and impressive all at the same time. 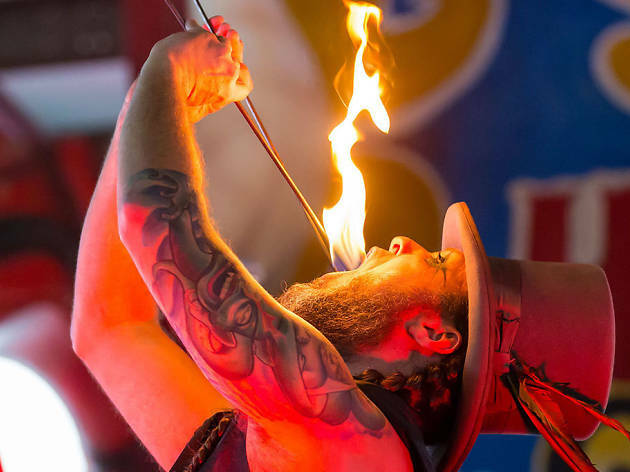 Expect glass-eating, knife-throwing and archery featuring human targets, sword-swallowing and so much more—all while rock’n’roll plays in the background. 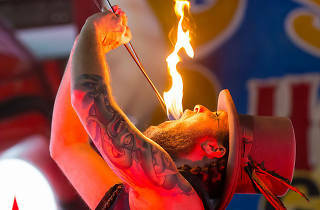 You’ve never seen a circus sideshow like this.